At Daylight Systems we specialise in brightening up your home.Turning those dark, uninviting rooms into bright spaces, by installing tubular daylighting systems and roof windows. Seasonal Affective Disorder, or SADS is a known disease, but a lot of people may not even know that they are affected by it. Symptoms include depression, irregular sleep patterns and loss of physical energy. Treatments include light therapy and fluorescent lamp sessions. There is a much better way to improve quality of life and that is by getting more natural daylight and this is where we can help. Daylight Systems are a Southern Premier Dealer for Solatube UK. We supply and install their entire range of daylighting products. Solatube are proven to have the very best products in the world & are the only tubular daylighting system to hold BBA certification. This is why we are proud to use the brand and supply and install Solatube products. 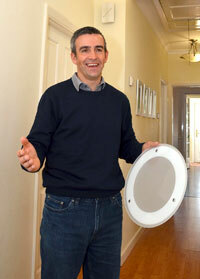 To find out more, visit the Solatube website. Daylight Systems are also 5 star Velux Approved Dealers for their roof window products. Many of us have areas within our homes that cry out for light and airiness. A Velux roof window can transform that dingy kitchen or attic room into a bright space, where you would want to spend more time. What about that empty and unused loft ? We can create an area for hobbies for that previously unused space. To find out more, visit the Velux website. We specialise in both domestic and commercial installations for your home or place of work. Whether it is a bungalow, house, flat, garage, office, workshop or industrial unit – we’ve got it covered. For a free no obligation survey and a competitive quotation, please call us any time on 0345 548 0844 (local rate nationwide) or call Deane on 07747 333380. We are approved installers of Hertalan & Triflex waterproof systems to guarantee the integrity of all flat roof applications.